Spiders are a common household pest in San Diego county. While not all of them are harmful to humans, the bites of black and brown widow spiders can be fatal for pets or small children. Widow spiders make their webs in low to the ground areas, like outdoor furniture and play structures. They can also be found in woodpiles, around trash cans, in garages and sheds. These spiders can become aggressive when their webs are disturbed. If you suspect that widow spiders are living around your property, it is important to leave the webs alone and call a professional to remove them. License to Kill pest control provides comprehensive residential pest control protection plans. 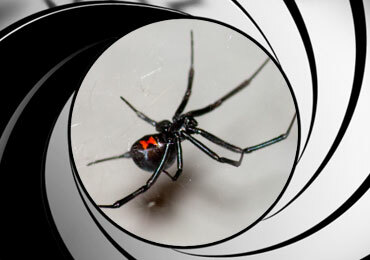 We specialize in spider pest control. We have extensive experience eliminating spiders in historical structures, commercial properties and apartment complexes. At License-To-Kill, we understand pesticide sensitivity. If you’re allergic to pesticides, concerned about your pregnancy, pets or children, we care and are prepared to work with you. Please call us for your pest control needs today. 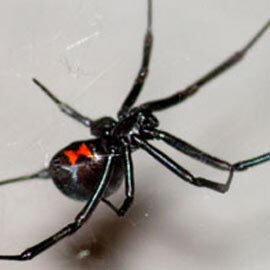 A close cousin of the Black Widow spider. The Brown Widow spider is new to San Diego and is much less interested in biting than its cousin. 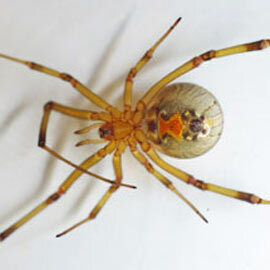 This poisonous spider's bite can kill small children. If you see irregular webs near the ground, please call us! 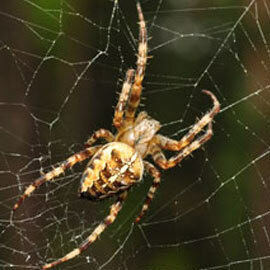 Garden spiders are generally non-poisonous. In some situations, garden spiders can get out of hand and take over a property. 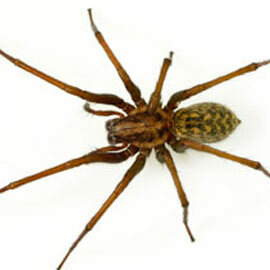 Commonly known as wolf spiders, these pests are interested in natural pest populations but can make their way inside. Get Rid Of Your Spiders Today!